Five Leaves have just released the first three paperbacks in their Crime Express series. Each book is a long short story at around 100 pages. The books are slightly smaller than normal paperbacks and are perfect for slipping into a small bag or pocket. 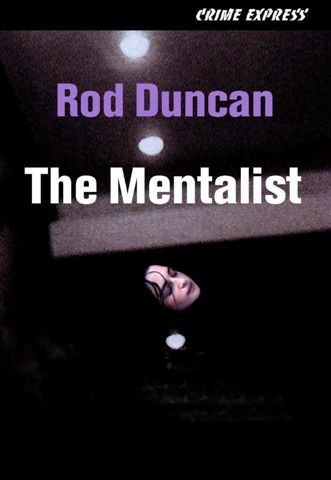 October 2007's releases are 'Trouble in Mind' by John Harvey, 'Claws' by Stephen Booth and 'The Mentalist' by Rod Duncan. 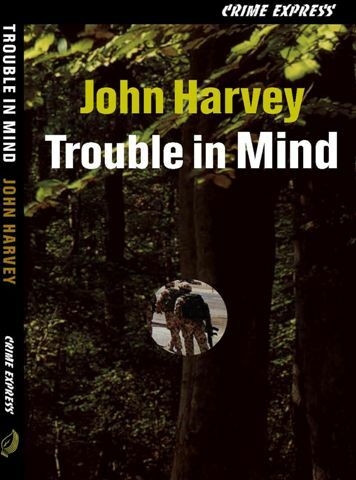 TROUBLE IN MIND brings together Jack Kiley, a former footballer turned PI, based in London and DI Charlie Resnick, Harvey's most famous creation, who is still working in Nottingham. Kiley is asked to look into a missing person's case: a soldier has not returned to his unit after a period of leave. The man loves his job but has lately been unable to sleep and acting very strangely. Kiley fears for the safety of the soldier's ex-wife and their children as the couple are not on good terms. His investigation leads him to the wife's home in Nottingham and to Charlie Resnick. TROUBLE IN MIND is the one I was most looking forward to and I was slightly disappointed in that it is the shortest of the three, at 79 pages. The style is clipped with a poetic rhythm to it at times. The story is quite interesting though a bit lacking in tension. TROUBLE IN MIND is a pleasant taster that will leave you itching for January's full length COLD IN HAND, which also features Kiley and Resnick. CLAWS takes Booth's regular leading man, DC Ben Cooper away from his partner Diane Fry and into the Rural Crime Team where his team are trying to track down a collector of rare birds' eggs who has moved on to taking young birds which fetch a high price on the continent. 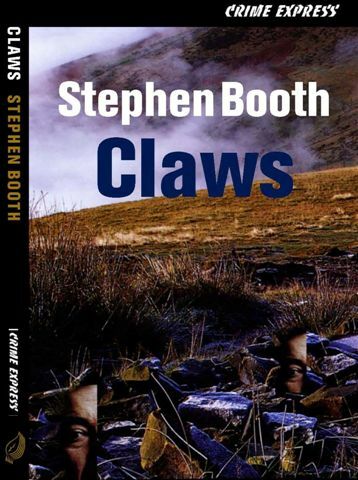 As usual with Booth's books, CLAWS is very strong on atmosphere, set in a well-realised Peak District. CLAWS introduces the reader to Ben Cooper and if you like him then there are eight full length novels to be sought out. Unfortunately I'm not one of his fans and I didn't enjoy the story line of killing wildlife and Ben's deliberations on the pros and cons of grouse shooting. However apart from one loose end this is a well-constructed story with an unusual plot line. Harry Gysel is THE MENTALIST, either a genuine psychic or a very good illusionist. On stage in Leicester, he predicts that one of the volunteers, a woman named Debbie, will die. The next morning, the police question Harry, as the woman has been murdered and they are suspicious of him. Things go from bad to worse when the woman who could alibi him refuses to tell the truth to the police. Of the three, THE MENTALIST is the one I enjoyed the most and indeed enjoyed very much. It has a more traditional plot: murder, our hero suspected, sceptical police officers and so on. It's hard to mask the identity of the real killer in a book with so few characters but Duncan manages to do so until the nail-biting end. Rod Duncan is the author of the Riot Trilogy, also set in Leicester. Details of the authors' other books with links to reviews can be found on the Books page.